Productive Mama Bottom line: There are many ways to go about a freezer meal club. With the right match of people, it can be a fantastic way to always have a meal ready to go! But be prepared to organize the group so that it’s a good fit for you. OR opt into a group that you can make work in your life. For the ultimate guide to starting and managing a successful freezer meal club, check out the Freezer Meal Club Guide and Success Ebook and Ecourse here! 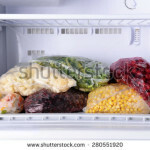 Several years ago, I discussed the concept of freezer meals – preparing and storing one to several meals in advance in order to be able to eliminate cooking on future days. You simply take the pre-prepped meal from the freezer and heat on the night you need it. I always have a stash of freezer meals on hand for extra crazy days, illness (my own or for a friend who needs help) or inevitable planning snafus. While I tend to make doubles of my meals or do a few at a time when the mood or need strikes, there are more formal groups who together plan their meals, purchase ingredients and then work together to create their freezer meal stash. These clubs require some investment in time in order to both pre-plan, purchase and then do the actual food preparation. But the rewards are great, in both future money, time and energy savings. PRO of a Club: Save money – you can take advantage of bulk buy savings, given the large amount of ingredients purchased at one time. Corresponding CON: large up front investment. PRO: Save time – you go home with many meals that will be ready with minimal prep. 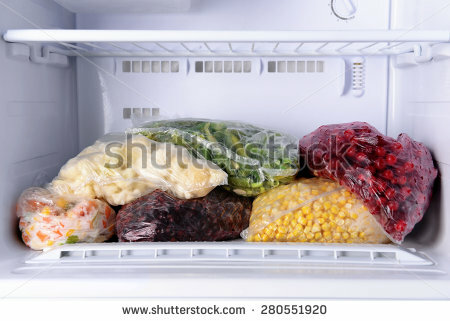 CON: you need freezer space. PRO: stay healthy – Avoid take-out knowing you have a meal already prepared. CON: you’ll need to find friends that agree on type and quality of food, as well as agree upon flavors and amounts of food. PRO: have fun – you can gather with good friends to prepare and cook, “build” or exchange your meals. CON: you need to commit to meeting at set times. PRO: lend a hand – always have a meal ready to go for a friend in need (illness, new baby, sudden guests, etc.) CON: none! Freezer clubs can work in different ways. One successful club in Albuquerque gathers monthly to prepare their meals from scratch together, taking home 8-10 meals each. Other groups prepare a set number of meals in their own homes and then come together to exchange the meals and visit with each other, reviewing previous months’ successes and needed improvements. Other groups are a hybrid. Meat is pre-cooked and vegetables may be pre-chopped at the member’s home. These are brought to the meeting and then the group assembles the meals together. No matter which “style” of club you prefer, most freezer meal club enthusiasts agree that some decisions must be made up front and ground rules agreed upon from the outset. + What are your food values? + How will you handle money? + How many servings is one meal? . + How do evaluate how successful a meal is? Clubs tend to be made up of women with families and women who are friends. The friendships help with open communication and feedback. Kelly, whose Albuquerque group has been going strong for 2 years, has learned a lot from her experience. Size has varied, but she feels 4-5 members is best, allowing for substantial buying power while allowing for an easier time in matching food styles and tastes. She shared some other great tips for those looking to start a group. HOW DO YOU SELECT RECIPES? HAVE YOU LEARNED FROM ANY MISTAKES? We used to select recipes that we found on websites that looked good. We discovered some great things that way, but we also spent a lot of time, money and energy cooking some recipes that were total duds and that feels so disheartening. So now we have a rule that the recipe has to be vetted first. So if you find something that looks good on a website, the group can still cook it but you have to try it at home first to make sure it is actually good. We also pre-test freezing certain things that we haven’t tried freezing before, because some things are great fresh but super gross when defrosted (bell peppers, for example). BIGGEST ADVANTAGE OF THE GROUP FOR YOU? The meals are helpful, but honestly the sense of community that revolves around cooking is the most important factor for me. For the past two years, we have met every single month. We have shopped together, made mistakes together, made amazingly delicious and also terrible screw-up meals together. Our children have played together while we cooked, they have learned how to carve chickens and scoop muffins and stir giant pots of soup and roll burritos. To me that is really valuable. One month one of our members gave birth and couldn’t come to the cook, but we made her share and dropped the 20 meals off at her house. I love that there is a simple way for us to support members of our community like that, because I think that as moms we are all trying to support one another as much as we can, but we ALL need support a lot of the time and don’t really have much extra to give. So I love that it is just built-in that we can provide support to one another without draining our own cups. That’s how it should be. ANYTHING YOU’D LIKE TO IMPROVE? We could probably stand to be a little more organized. But we are all busy moms so that may or may not happen, let’s be real. Other than that, my main complaint is that our “mobile pantry” of non-perishable items we’ve bought with the group’s money (spices, oils, etc) is a pain to haul around. We used to rotate houses each month but are probably going to stick with one person’s house for several months in a row so that we don’t have to move it around as much. HOW DO YOU HANDLE CHILDREN DURING COOKING SESSIONS? We pretty much just let them run wild, and then at the end of the day we clean up together. They are all good friends so it works out pretty well. We do big family style meals for lunch on cooking days. Clara’s group began early this year. They started by assembling meals together but found that was too time consuming. They now bring their meals frozen, packaged, and labeled. Like Kelly, Clara appreciates how her club gives her the ability to support her community in a very personal and tangible way. Her group invites someone whose family is going through a rough time to each monthly session and sends them home with a freezer full of meals. If you start now, you’ll be able to save money and time as the busy holiday season approaches, but you will also be able to bless others with food and support. Sounds like everyone’s a winner in a freezer meal club! 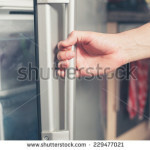 Want to start and manage a successful freezer meal club? 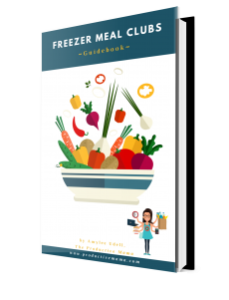 Check out my Freezer Meal Club Guide and Success ebook and ecourse. I take you step-by-step all the way, easing your stress and boosting your success!